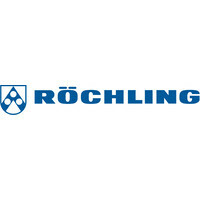 Röchling Glastic is an International company which for almost 70 years has provided global customers with a variety of fiberglass reinforced composite stock products, laminate sheets, structural composite shapes, materials, and custom Pultrusion capabilities. The Quality (Environmental, Safety and Health) Engineer is responsible to manage all aspects of our Quality program, as well as our Environmental, Safety and Health initiatives, and to lead activities for the continuous improvement of processes in all areas of responsibility. Supervise all laboratory, Quality and Environmental team members. Review and resolve customer complaints; root cause analysis and corrective action in cooperation with operations and customer response. Manage day-to-day lab operations in support of production. Review and analyze complaints and product failure data to present opportunities for improvement to operations. Report on complaints status and product non-compliance on a regular basis. Ensure integrity of ISO program including product compliance audit activities and retention of all data generated. Ensure all required inspections and monitoring activities executed and documented – within compliance. Lead activities to identify opportunities and execute projects to drive continuous improvement in Quality Environmental, Safety and Health areas. Engineering or relevant technical degree preferred. Experienced Quality professional within a manufacturing environment required. Must demonstrate strong leadership skills, ability to manage multiple priorities and the desire/ability to drive change. Experience with composites or other materials manufacturing preferred. Use of logic and reasoning to identify solutions to problems; root cause analytics.